“Watch a video of me and I’ll prove you wrong,” said 11-year-old Jazmin Ramirez, who plays youth tackle football in the Santa Clarita Valley. 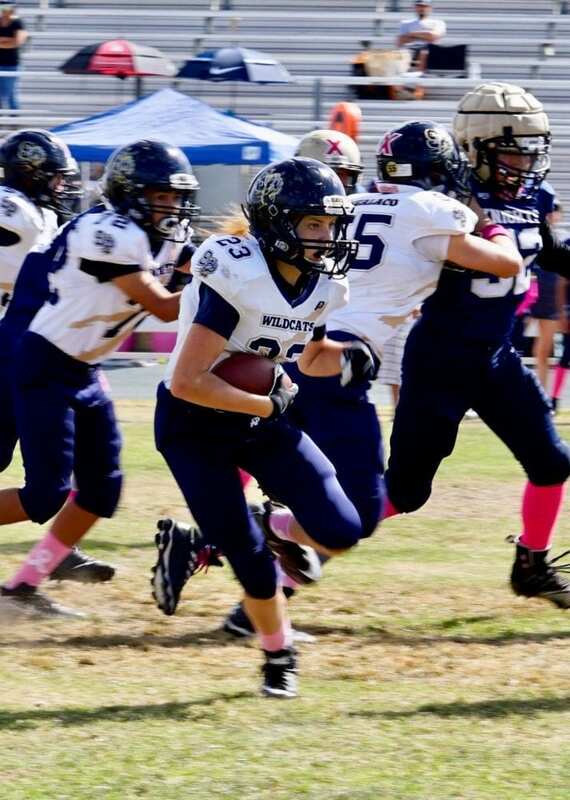 Paving the way for future generations, the Santa Clarita Valley has two girls that play in the youth tackle football leagues: Ramirez and Jordan Schwesinger. Ramirez is a track and field runner that made the transition to playing tackle football when her current coach approached her parents, Lissette and Ademar Ramirez, and asked if she ever had any interest in playing the sport. “I still look with one eye closed because there is always the potential for injury,” Lissette said. “When the other teams find out that she’s a girl they do come after her a little more. 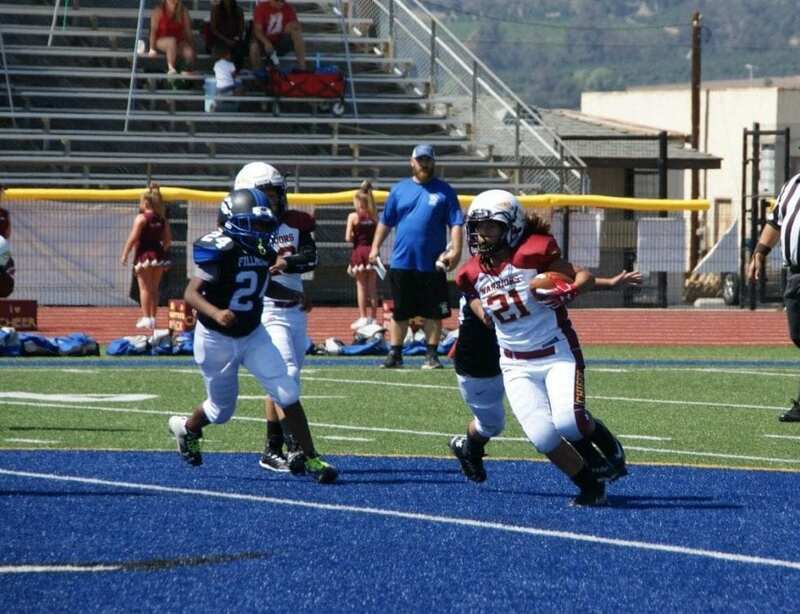 But she is a very strong girl that can take it, regroup and get back on the field.” Jazmin is currently playing her first year of tackle football with the Chiefs youth team, a team affiliated with the Santa Clarita Warriors PYSO team. Lining up at running back and linebacker for the Chiefs, Jazmin got her love of the game from her father and her brother. “I personally like running the ball and just love the sport in general,” Jazmin said. “It’s just something that’s a part of me. My dad and brother love the sport and showed me how to play. I just love it.” Before every game day on Saturdays, Jazmin and her mother get into the car and drive to the game. On the way there Lissette puts on a little motivation music to get her running back/linebacker pumped. “On my way to the game my mom plays ‘Eye of The Tiger’ to get me hyped and confident about my game,” Jazmin said. “I love it and I go out there and play my game.” Jordan Schwesinger, an eighth-grader at Santa Clarita Christian School, began playing tackle football about six years ago at the age of eight. The younger sister of Carson and Ethan Schwesinger, who both play for the SCCS varsity football team, Jordan had some good football role models.